Killer Characters: The BOUCHERCON Mystery Conference and a #GIVEAWAY! 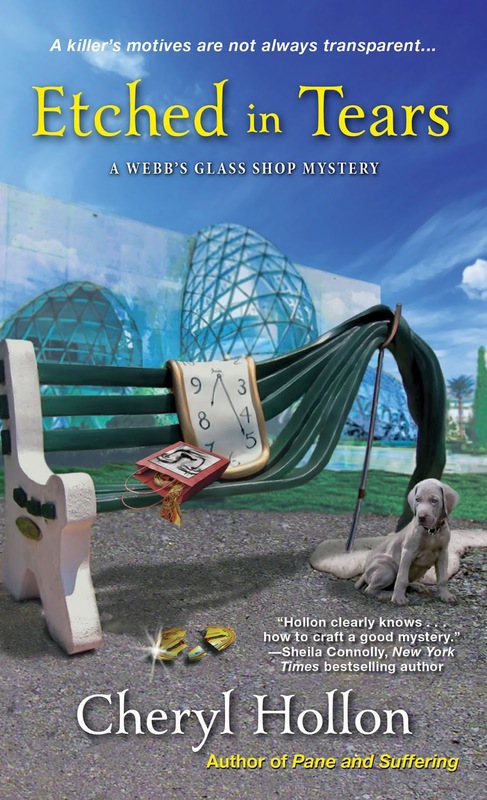 The BOUCHERCON Mystery Conference and a #GIVEAWAY! Hi, Savannah here. 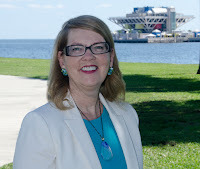 My hometown, St. Petersburg will be hosting Bouchercon 2018 from September 6-9. This world-famous mystery convention is a nonprofit, all-volunteer organization which holds an annual convention in honor of Anthony Boucher, the distinguished mystery fiction critic, editor and author. It is the premier annual event for readers, authors, and all lovers of crime fiction. Most of the action will be at the gorgeous Vinoy Renaissance Resort. The conference organizers are expecting around 1600 attendees who will be experiencing the charm of our city eateries, museums, art galleries, boutiques, bars, and breweries. Out of town friends of mine are attending and they enjoy a good value when it comes to Happy Hour in the Sunshine City. Here's a list of those that are close to The Vinoy. $3 select drafts, $3 Wells, $5 calls, happy hour food menu for $5. YOU HAVE TO BE 21 AN OVER TO DRINK. DRINK RESPONSIBLY. ALL INFORMATION IS SUBJECT TO CHANGE WITHOUT NOTICE - CALL FIRST! Do you enjoy Happy Hour? There's a #GIVEAWAY! Leave a comment and your email address in the form of yourname(AT)server(DOT)com to avoid the SPAM bots. Do this by midnight on July 25 for the chance to win a signed Advanced Review Copy (ARC) of Shattered at Sea. This giveaway is open to U.S. and Canadian residents only. Winner will be notified within 48 hours after giveaway closes. There's a mystery conference I would love to attend! Bet everyone will appreciate a local's suggestions. I live near a lake, and it is fun to take people to happy hour there to watch the boats and how the light changes. Can't wait for the new book! Thanks for the chance to win! I think a cruise and a mystery conference would be fun! I'm not a drinker, so I probably would skip happy hour. mcastor07 (at) gmail (dot) com. I would love to attend this mystery conference! I loved watching glass blowing at a store I would go to many years ago. It is amazing how a lump of hot goo turns into such beautiful and delicate things. Thank you for the book giveaway. Bouchercon 2018 sounds fun! 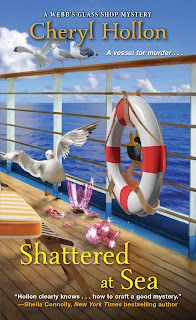 Thanks for the chance to win Shattered at Sea. Entries close at midnight on June 25? I do enjoy happy hour. I have seen glass blowing on a cruise ship before. Fascinating. I like the bar choices. I am loving seeing all these new series. The conference sounds like it would be great! Went to one Bouchercon, 2014. What fun! Thanks for the giveaway. Sounds like )ts of fun. Blown glass is such a lovely art form. The colors are usually spectacular. I don’t go to bars! Thanks for the chance to win! I'm wondering just how one would do glass blowing on a ship. i guess I'll have to read the book to find out. Great series! Would love to read "Shattered at Sea", will be interesting to see how glass blowing is done on a ship. I enjoy meeting friends for Happy Hour. I love books about cruises -- I really hope I win! Sounds like a good book. What a great name! lol I love our "happy hour" at home. No worries of drinking and driving! I would love to win this newest book as you are a newer-to-me author. Thanks for a great giveaway! I haven't been to happy hour in many years. I don't drink. I'll take a coffee. I just found your books today on audible . I can't wait to listen to them. I love stained glass and glass art. Thank you for the opportunity. I have always been fascinated by glass blowing. I'd never imagine it on a cruise ship. Sounds interesting.